Cancer does not discriminate. It attacks people of all different races and genders and ages. Childhood cancer is one of the saddest things there is. Children that age should not know their mortality like that. Nevertheless, cancer does not care about the people it affects or their families. It only takes. 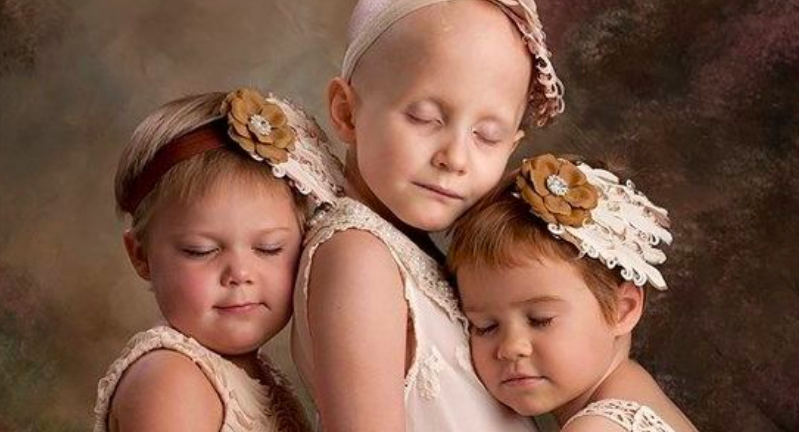 In the hope of uniting people dealing with cancer, two photographers Lora Scantling and Christy Goodger put out an open call for photos in 2014 on Facebook. The response was big enough to change their lives forever. 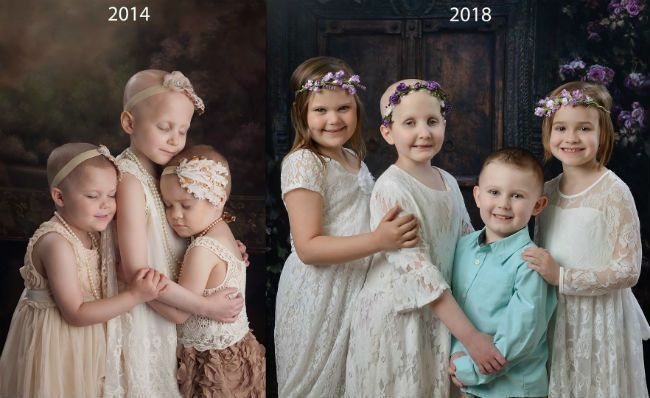 Since then she’s launched a project called “Little Heroes.” In the photo series, she’s photographed dozens of childhood cancer survivors. Despite the collection of wonderful images, one picture stands apart from the rest. Three little girls from Oklahoma have all dressed alike. They’re bald and are wearing outfits befitting the angels they are. The girls are hugging each other and holding each other close. 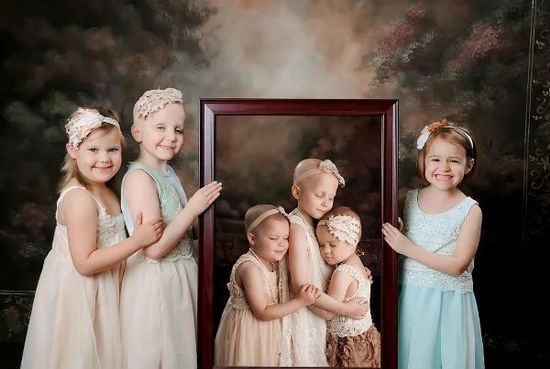 After the image was shared as part of “Little Heroes,” it went viral almost immediately. The little girl at the center was six years old at the time. And her name is Rheann Franklin. She suffered from a rare form of brain cancer. The little one on the right is five-year-old Ainsley Peters. She was battle leukemia. The little cutie on the left is Rylie Hughey. She was only three years old at the time Scantling snapped the picture. And she was fighting kidney cancer. The girls established a connection on the day of the photo shoot. One year later, they decided to reunite for another image. 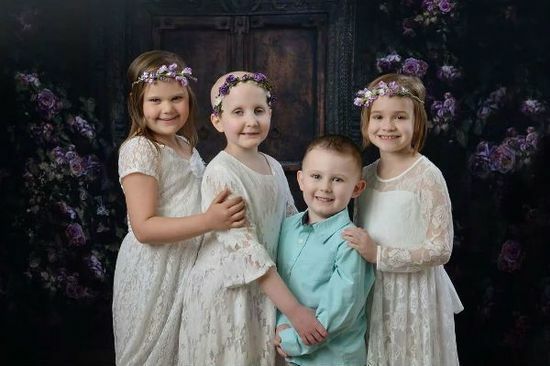 It was a celebration because all three were in remission. Because it was so much fun to see these little girls, Scantling decided to turn it into a tradition. Every year she wanted to get the “gang” together and take another photo. But Scantling doesn’t plan to stop photographing them any time soon. She hopes they can model for her images every year for the rest of their lives. It will be a way she can document them and help them inspire other people battling cancer. This year, a little boy was invited into the fold because he just got diagnosed with acute lymphoblastic leukemia. His name is Connor Lloyd. As beautiful as these photos are, let’s hope no more children get added next year!